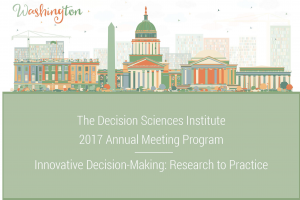 Welcome to the 2017 DSI conference proceedings. The proceedings include all papers that were submitted and accepted as full papers, although they may appear in the proceedings as either the full paper or an abstract of the full paper. To view the proceedings, please click on the paper title (in alphabetical order). Click here to download the PDF version of the 2017 Proceedings. This case examines the consequences of a post-season celebration that left individuals, their professional sport organisation, and their sport, with reputation damaging outcomes. It provides opportunity to explore multiple phases of crisis management and stakeholder analysis, and the value of developing both internal and external perspectives in conducting such analysis. An emerging theme within circular-economy (CE) research is about circular-business-models (CBM) that deals with developing new-business-models to satisfy economic, environment, and social aspects of sustainability. This article questions consumer preparedness for such CBM, and proposes a CBM acceptance framework and its application to supply chains using “tragedy of commons” theory. Studying behaviour on the internet is very challenging since nobody controls it. One factor, nationality, affects how a person responds in a given situation. China and the US have many differences. In this paper, we study the differences in perception of Chinese and American students of internet ethics, netEthics. The problem of scheduling jobs in a permutation flow shop with the objective of minimizing total earliness and tardiness is considered. Unforced idle time is considered to reduce the earliness of jobs. Several dispatching heuristics that have been used for the problem without unforced idle time were modified and tested. With the emergence of telecommunication and information technology, telehealth is playing a significant role to deliver an efficient and less-costly remote care for the ageing and disabled population. This study proposes a heuristic decision tree telehealth classification approach (HDTTCA), to classify those who are applicable for telehealth service. Habib Ullah Khan, Qatar University; Hameed Sulthan Imam Abdul Samad ,Department of Computer Science, University of Liverpool, UK. This research focuses on: identifying the critical factors for businesses currently using traditional computing for their IT, especially among financial and corporate sector firms; reviewing their concerns; and establishing a framework to support their transition towards cloud-based technologies (such as SaaS and IaaS) for their IT services. Individuals are increasingly hyperconnected to their mobile phones. In this research, we asked 289 subjects to not use mobile technologies for a predetermined period and to describe their experience. A grounded theory approach is used to explore factors that make individuals vulnerable to (and the implications of) excessive use. Levels of item difficulty that maximally discriminate among examinees are widely recognized. The present study suggests that the availability of such maximally discriminating questions in published question banks is limited. 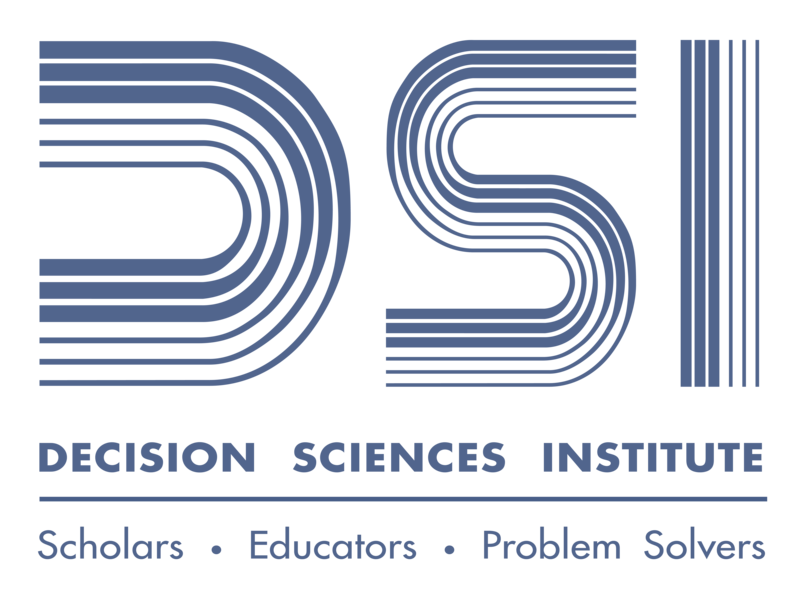 DSI is a national organization which desires to represent all business disciplines. To validate that claim, this paper does a meta-analysis of Instructional Innovation Award Winners in one of the fields outside of production/simulation/supply chain management, namely, Marketing, over the past almost two decades (as far as DSI’s records go). This exploratory case study analyzes a complex innovation in the IT service industry. The study establishes that a planned change in one dimension of service is likely to necessitate changes in other dimensions as well. Further, it brings out the role played by dynamic capabilities in realizing that innovation. Firms recognize that an IP portfolio represents an important competitive advantage, but obtaining a patent is difficult, because patents are being filed in record numbers. We contend that IP and patent search problems can be addressed by readily available technologies, and offer a workable plan to move forward. Privacy and national security is a particularly complicated issue. With the integration of data collection technology into national security, such as e-government, there has been concern in regards to privacy. This exploratory paper will argue for the merits of e-governments in national security and its importance over privacy. This paper provides an in-depth study of the cocoa-chocolate supply chain in Côte d’Ivoire. This research is focused on the threats and opportunities within the supply chain, and how they are being addressed. A secondary purpose is to provide insight relevant to any commodity-based African supply chain. We address problem in dense mobile networks by dividing entire network into multiple sub-regions, applying Locality Sensitive Hash functions to map metadata to a geographical region, allowing nodes to maintain partial membership views, applying parallel file fetching method for minimizing retrieval latency, and employing relocation method for mobility resilience. Health care organizations need to identify the best practice e-business model which adds the optimal value throughout three sequential stages of a value stream: value capture, creation, and delivery. For this purpose, this paper develops a waterfall three-stage multi-criteria decision making framework to select the optimal e-health business model. This meta-analysis investigates the relationship between absorptive capacity and firm performance and innovation. It also tests the moderating effects of AC type, performance type, firm size, industry, and time on this relationship. The analysis is based on results from 82 studies. Flipped classroom combined with project based learning approach has shown positive results in pedagogical experiments conducted by the authors in different time periods, geographical locations and cultures, and different business disciplines. This paper presents the results of the studies that utilized such approach. In this study, we developed an agent-system contingency theory as a multi-level theoretical lens for behavioral supply chain research. We then proposed the synergistic use of experiment and survey as a methodological framework in investigating multi-level inquiries guided by the agent-system contingency theory, and conducted two experiments for empirical illustrations. MTABS is a complement to the chi-square statistical test accompanying the commonly-used cross-tabulation of two variables. The present study describes an anomaly that can occur in the MTABS algorithm and provides a remedial measure. This study develops and tests a model for the adoption of cloud computing. The results indicate perceived privacy, perceived information control, and perceived regulatory expectations influence the behavioral intentions on using the cloud computing. This study has both theoretical and practical implications. Croston’s method (1972) in forecasting items with intermittent demand, assumes independent demand occurrences per period with a constant probability of demand and assumes that the time between positive demands is geometrically distributed. We study Croston’s method under alternative distributions (Symmetric, u-shaped, and uniform) for the time between demand occurrences. This study analyzes if operational cash flow improves value relevance in addition to earning. The results show that moderate and extreme net earnings have incremental value relevance beyond moderate and extreme cash flows. Moderate cash flows have incremental value relevance in addition to moderate and extreme net earnings. This research paper focuses on the analysis of the political event, which has been taken place in the USA due to the 2016 presidential election. The impact of the event on trends of the stock market was analyzed using two intelligent techniques regarding N-days ahead prediction. Power is often used by firms to influence the decisions of their supply chain partners, yet little is known about how exactly a power imbalance is created and what drives power usage in buyer-supplier relationships. This study aims to explore the antecedents of power imbalance and its consequences. TStudents can learn well if they develop and make a presentation for each chapter. They can prepare slides by including their own elaborations just like instructors do. This method can reduce students’ cognitive load in understanding new theories and motivate them to learn course contents actively. Intense competition among graduates in dynamic labor market building pressure for stakeholders to help the graduates to become more employable for smooth entry in labor market and achieve career satisfaction. Time-lagged data (2013-2016) of 133 Italian graduates was collected with additional 955 external-raters using 360 degree feedback approach and analyzed. We incorporated an openSAP course to a management information systems class. Students learned the latest development of SAP CRM solutions along with the SAP ERP business processes integration that they learned in the classroom. 44% of the students obtained Record of Achievement, which is higher than the average success rate. This article investigates 1) why customer attractiveness and its antecedents are relevant for SCM, and 2) what are the effects on innovation and cost performance ensured by suppliers. To this end, the study exploits data as part of an international survey on purchasing strategies, practices and performance conducted across ten countries. Big data capabilities can help firms gain business value. From a dynamic capability perspective, this study proposes a conceptual framework to discuss the relationships among big data capabilities, decision-making impact, and business value creation. We conclude decision-making impact plays a full mediating role. This paper attempt to introduce big data, vitality and trends of big data then probe its significance and international initiatives taken so far to accumulate process and utilize the knowledge productivity. Finally, we conclude the paper by focusing upon the need of big data initiative for Oman’s development and sustainability. The purpose of this study is to find a connection between emotion and cognition that shows how they work in the decision-making process to clarify discussions on the effect of emotion in the decision making process. For the purpose, this study employs coordinate-based activation likelihood estimation meta-analysis with fMRI data. Can Kiosk Machines and Business Intelligence Replace the Hotel Front-Desk Representative? Information Technology has played an important role in the hospitality industry, from early operational systems to today’s customer relationship management. Information Technology has played an important role in the hospitality industry, from early operational systems to today’s customer relationship management. In the future, kiosk machines and business intelligence may replace the front desk representative. This paper offers a framework for the hospitality industry regarding its future use of information technology. Factors in the psychomotor, cognitive, and affective domains are theorized to positively affect perceived dominance of search attributes of a product. This study presents a framework of e-channel choice that enables better understanding of online consumer behavior, and provides insight into the pivotal role of conversion from experience attributes. This research investigates the influence of cognitive ability, computer aptitude, and demographic factors on performance of learning a procedure-oriented ERP system. The researchers hypothesize that computer aptitude and personality predict learning success as they measure the student’s ability to prevent/mitigate problems, recognize patterns, attention to details, and follow complex procedures. This study aims at examining the economic feasibility of the community paramedicine intervention, which involves home visits by paramedics to avoid 30-day readmission, considering the implementation costs and the financial benefits due avoided penalties. A cost-benefit Monte Carlo simulation model is applied to several scenarios. The core purpose of this research is to further investigate reports of the World Bank on logistics indexes and compare the performances of Latin America and the Caribbean countries and the USA. This paper suggests that Latin American countries and Caribbean must work to improve their logistic performance. Current Meta-analysis investigate how conflict management plays vital role to articulate positive side of conflict and enhance the team performance. Findings revealed that if teams will prefer cooperation and positive attitude to solve their conflicting issues, performance of team will increase and team members will participate actively for efficient performance. Crowdfunding platforms allow individuals to pitch ideas for a new product or service. Kickstarter is the most well-known, however many of the projects do not successfully obtain funding. Using the five factor model and IBM’s Watson, we analyze text sections of the pitch to understand characteristics that affect funding. Healthcare operations have garnered great interest from academics and practitioners alike. We will present on culture centric process improvement in healthcare, focusing on nursing facilities and assisted-living communities, using both traditional and innovative continuous improvement techniques such as lean and six sigma to improve patient care and delivery outcomes. This paper describes the design and implementation of a Management Information Systems course, offered online, as part of the MIS curriculum at a comprehensive state university. The paper provides a detailed view of the assessments used in the course and their effectiveness and efficacy in ensuring student learning. Entrepreneurs deal with creating and identifying new ideas and they put these new ideas into effect by locating them and affording opportunities for innovation and new firm formation. We construct a creativity model and apply it to the top creative firms in the ICT industry. With increasing of global warming, using solar energy became popular worldwide. However, china’s adoption rate of solar photovoltaic is relatively low comparing to its production rate. This paper investigated cultural factors and their impact on solar adoption based on survey data, collected from both residents and college students in China. This paper focuses on the impetus for the emergence of lean accounting. The content is not to suggest a better means of accounting, but rather to recognize the reasons for its emergence and to provide guidance relevant towards the creation of system assessment and control metrics for the lean practitioner. This paper proposes an innovative procedure of combining a goal programming model into Data Envelopment Analysis (DEA) approach for an efficient biomass to biofuel supply chain (BBSC) design under the risk of disruptions. A case study using the biomass data for South Carolina is conducted to evaluate the proposed procedure. This study seeks to determine whether U.S. retail merchandising firms disclose their assessment of cybercrime risks to stakeholders. Data were gathered from 2010 to 2016 SEC filings for all publicly traded U.S. companies with 2010 sales that exceeded $1 billion, thereby accounting for more than half the sector’s reported revenues. Biases in e-commerce websites create difficulties in problem identification. However, research suggests debiasing techniques can help. We employ design science research to construct and evaluate a methodology for analyzing and identifying problems. This methodology is field tested with over twenty organizations with encouraging results. This study attempts to examine the effect of determinants influencing the performance of commercial banks in India. The random effect model on balanced panel data for the period 2010-2016 determined the impact of the macroeconomic and CAMEL factors on the ROE of the commercial banks. This paper shows how to create/improve a computer-based simulation for better decision making through a project that integrates a multi-agent framework into the traditional herd-based epidemiological simulations. This paper contributes to students’ understanding of the whole process of technology innovation by demonstrating a practical project. DevOps represents a significant departure from traditional IT operations and development practices. Employees may not view the associated changes positively. Little research has investigated the impact of tech workers’ perspectives on DevOps adoption. This study evaluates a conceptual model in which employee perceptions of DevOps are antecedents of adoption intention. Using the diffusion of cell and smart phones, we support that these technologies follow Bass’ diffusion model where the evolution is driven by imitation more than innovation. For vaccination acceptance, the results show a pattern of innovation, suggesting that acceptance of health preventive technology is still in the innovation stage. The adoption of mobile banking has received increasing attention in the past decade. Yet, researchers have not agreed on the factors affecting the speed of mobile banking adoption. Our objective in this research-in-progress is to analyze the speed of the adoption of mobile banking, moderated by the personality traits. For digital natives there is little empirical evidence on generational differences in the workplace as to their comfort and confidence using technology that truly sets digital natives apart from their generational predecessors known as “digital immigrants.” This study examines computer self-efficacy and its potential moderating affect on the work values. The tax code allows certain taxpayers to make direct charitable contributions from their individual retirement accounts (IRAs) without including the transferred amount as income. This paper explores this law and the possible benefits, especially as it affects the tax on social security benefits. Potential tax reform is also addressed. This paper empirically investigates the drivers of servitization by manufacturing firms. By analyzing a sample of 2450 public manufacturing firms for the period of 1976 to 2000 we demonstrate that younger age, technology intensity, higher market share and stock of proprietary knowledge encourage manufacturers to introduce more services. The purpose of this research is to examine the relationships among diversity, internal environment, shared leadership, and information sharing of short-duration virtual teams engaged in a problem solving task. A laboratory experiment was conducted involving collaboration technology supported virtual teams that were engaged in data model design. This study explores conditions that influence the choice of corporate sustainability strategies and operations strategies of a firm and to analyze the impact of an alignment between corporate sustainability strategy and operations strategy of a firm on its sustainability performance. Does the Impact of Sentiment on Firm Financial Performance Transmit in Supply Chain? Based on the linkage of financial performance among partners in supply chain, this paper explores whether the impact of public’s sentiment in social media on firms’ financial performance transmits in supply chain. Upon incorporating price and advertising into a diffusion model for subscription services, optimal marketing–mix variables are characterized. A monopolistic market is analyzed allowing customers’ disadoption. The analytical findings indicate that the marketing – mix policies of the firm could be very different in the presence of customers’ disadoption. By using the logic of systemic thinking and the rigor of game theory, this paper investigates the market entry of either small or micro firms and the problem of what market characteristics are needed for such firms to penetrate successfully into markets dominated by large incumbents without intensifying rivalry. This research investigates influential factors of enterprise analytical dashboards on decision support. Factors studied include device type, a user’s computer knowledge, and a user’s demographic factors. Results indicate that the type of devices used influences both efficiency and effectiveness of analytical dashboard on decision support. This research focuses on the design of discrete Dutch auction to balance the trade-off between achieving the higher selling price and committing more resources. For various bidders’ valuation distributions, the results show the relationships among the optimal number of bid levels, maximum net revenue, bidding population size and transaction costs. To ration resources, physicians can use different criteria. Final allocation efficiency and thus individual well-being depends upon a reflected criteria usage. In an experiment, we investigate the usage of eight different criteria. We find that physicians mostly use health-related criteria, they also include individually perceived well-being but ignore discriminating information. We introduce a novel information acquisition algorithm where emotions and information value provide a verification and regret-prevention mechanism determining the behavior of decision makers. The incentives to continue acquiring information on an alternative depend on the relative spread of the domains on which the characteristics of the alternative are defined. Recent years have seen an implosion in the use of social media networks. This paper develops a Data Envelopment Analysis model to assess the relative engagement efficiency of online social media networks in fast food industry. It also examines how inefficient firms can improve their performance on social media. We consider IT security, and its vulnerabilities as potential failure modes. The vulnerability and chance a threat is detected are viewed as occurrences and detections. Failure Mode and Effect Analysis (FMEA) identifies risks of failure modes using severity and occurrence. We use a Case to introduce and test cyber-FMEA. Sustaining entrepreneurial ventures over time has positive socio-economic spillovers. This research extends entrepreneurial continuance logic (ECL) as a theoretical base to empirically investigate the antecedents, contingencies and mediators of entrepreneurial continuance. This study uses a systematic-review method to collect best practices for reducing cycle time variance in service settings. Cycle time variance is the correct object of process innovation according to the Taguchi principle. The study discusses the key literature that emerged from the analysis and presents a model of best-practice. Fire protection systems are critical in protecting data center assets. This paper applies analytical hierarchy process (AHP) to evaluation and selection of a fire protection system for a data center. Expert opinions from multiple data center professionals was used to select the most favorable fire protection system. The purpose of this paper is to examine factors that affect doctorate recipients’ decisions in choosing between academic or non-academic jobs. In addition, their job satisfaction levels are also evaluated. The paper proposes theoretical frameworks and develops multilevel models to test the effects of individual and organizational variables. This study provides empirical evidence that higher use of e-procurement technologies does not provide any significant benefits without higher supply chain integration practices. On the other hand, organizations focusing on higher supply chain integration can achieve benefits even though their e-procurement technology usage is not that high. We investigate the impact of accounting for discontinued operations on companies’ credit ratings under two regimes, APB No. 30 and SFAS No. 144. We find under APB No. 30 no relationship between reported discontinued operations and credit ratings, while under SFAS No. 144 discontinued operations and credit ratings was positive. This article discusses the experiences of integrating a mobile app into a computer concepts course in a university. As the use of any mobile app is a user choice, this article discusses what was done to hopefully motivate the student to use the app to further enhance their learning experience. This paper presents a series of experiential exercises using Major League Baseball data and the book, Moneyball by Michael Lewis. The exercises progress from simple descriptive analytics using scatter plots, to an evaluation of a predictive model, and ending with an application of regression analysis. The objective of this study is to test an experiment model to assess relative importance of features (colour, sound, and visual noise) of tourism TVCs for each member of BRICS. The analysis suggests for different countries, features are relatively different in terms of viewers’ preferences. This paper proposed research model including two key constructs namely perceived ease of use and perceived usefulness from well-known Technology Acceptance Model (TAM) and two other variables namely perceived trust and mobility to explain mobile banking acceptance. Structural equation modeling tested the model. Trust and perceived usefulness influenced M-Banking acceptance. Quantifying the business value generated by investments in information technology is a challenge. Firm-level operational procedures that aggregate data, derive and benchmark value measures against industry standards are scant. We use resource-based view and competitive strategy perspectives to derive the IT business value and demonstrate it using a case study. We examine whether sales growth moderates the effect of gender diversity on firm performance. In a multivariate framework, the results of the effect of gender diversity on firm performance are considerably stronger for firms that are growing fast, compared to those that are not. Empirical evidence from the World Economic Forum along with the gross development product and Hofstede Cultural Dimensions plays a role in predicting countries more likely to deliver malware attacks. The findings indicate that malware attacks executed correlates with GDP. Efficiency of 20 similar U.S. universities for master’s degree were evaluated using data envelopment analysis (DEA) and analytical hierarchy process (AHP). The inputs for DEA are tuition fees, student to faculty ratio and number of research-only faculty while the outputs are graduation rate, freshman retention rate and number of publications. This research proposes a supply chain spillover effect as a result of firm GHG emissions reduction, and examines the environmental and financial impact of this spillover. We develop econometric models to investigate the relationship between emissions reduction programs of a firm and the GHG emissions of the firm’s supply chain. In this study, we propose a novel hybrid implied volatility pricing method and evaluate its performance along with peer methods through a data-driven approach. The proposed method demonstrates its superiority to other methods in terms of convergence order and accuracy. Project managers (PMs) engaging in appropriate organizational and interpersonal behaviors generally achieve more successful project outcomes. Agile project management encourages PMs to incorporate these behaviors into their management styles. Our study identifies a high-impact subset of Agile behaviors that likely improve outcomes of traditionally managed projects. This study investigates the impact of modular product design adoption on new product development practices and firm performance. A conceptual model capturing the relationships among a firm’s modular design adoption, NPD knowledge sharing, customer involvement, NPD performance, and market performance was empirically tested. Managerial and theoretical implications are discussed. Multi-period optimizing models may be counterproductive if traditional accounting of revenue and costs is performed and planning occurs with too short a planning horizon. We propose a “value added” approach that allows planning to occur with shorter horizons than previously thought necessary. I argue that the TMT cognitive conflict positively affects the quality of strategic decisions and the TMT behavioral integration positively affects the speed of their decisions. Firms that have conflicted and integrated top management teams (CITs) will be better off in terms of their competitiveness among their industry rivals. In this paper, a Modi-InDeep method are proposed for the storage assignment in flow-rack automated storage and retrieval systems with class-based storage policy. Experimental results demonstrate that the Modi-InDeep method not only decreases blocking unit-loads but also stores unit-loads to easy accessible bins to minimize the cost of warehouse operations. The aim of this paper is to investigate the relationship of Inclusion and Employer Obligation at the workplace. A cross-sectional survey was used to collect data from 191 employees from public sector companies in India. The results helped in gaining insight with the help of correlation and regression analysis. Accurate information during disaster response to meet the needs of the affected population is paramount. This study looked at the information management challenges during response to disasters. Typhoon Haiyan landfall in November 2013 revealed gaps in the healthcare data. Solutions to this problem is real-time healthcare data capture. Contributions of information that is exchanged and coaction in silence to innovation by decision-making teams are considered. Idea generation is recognized as critical in decisions that are ill structured. We give explicit form to conditions that are likely to maximize innovation and examine contentions of the account in experimental data. Cost and schedule deviations in projects is a serious issue during project execution stage and the complexity of the problem increases when large scale projects with multiple tasks and longer duration are involved. In this paper, an optimization methodology is proposed for maintaining dynamic control towards effective project performance management. The effect of similarity and salience on market performance in the Indonesian broadcasting industry are tested on data released by Nielsen Research. Greater similarity among TV stations lead to higher TV ratings, while the opposite effect applies on salience. Further, there is an interaction effect between similarity and salience. Organizations are forced to explore various ways to enhance their innovation capability. In this study, we aim at making a contribution to fill in this gap by taking an integrated view at how internal and external collaborations would provoke and strengthen each other from the perspective of theory of complementarity. Is the Federal Government Undercharging for Self-Employment Taxes? The calculation of self-employment taxes is not mathematically consistent with the argument that the self-employed individual should not pay self-employment taxes on the equivalent of the employer’s share of the tax. This paper describes and illustrates this inconsistency, discusses implications, and suggests changes to the tax code. Habib Ullah Khan, Qatar University; Fillemon Johannes, Department of Computer Science, University of Liverpool, UK. it is also worth mentioning that management principles alone cannot sustain the status without paying attention to strategic alignment. Strategic alignment has a variety of importance, impact and benefits which will be vastly discussed throughout this paper. Information technology fashion reflects the organizational IT adoption and its business innovation capability. We propose a theoretical model to examine how organizational dynamic capability impacts information technology fashion which furthermore shapes the organizational performance. Accordingly, we propose 5 hypotheses that are to be empirically investigated in the future. We apply the social capital theory to explore how guanxi (especially mainzi) affects direct selling under Chinese culture. Specifically, we argue and propose how three guanxi practices (mianzi, renqing, and ganqing) affect direct sale performance differently as well as the moderating impact of culture on guanxi and direct selling. In a turbulent market environment, creating innovative products that exceed customer expectations is a crucial priority for firms in a buyer-seller relationship. This initial research establishes a theoretical basis for later empirical work on buyer-seller relationships that generate new intellectual property. A systematic literature review of peer-reviewed journal articles on the topic of lean and green integration and its impact on the triple bottom line found 60 articles between 2006 to 2016. Our study reveals that not many studies explored the impact of integration on TBL. Predictive Discriminant Analysis (PDA) is seldom used in Management research. In this paper, we offer an understanding of the usage of PDA, assumptions to check, appropriate rules to invoke, correct analyses of results, and make a case for using SAS™ rather than SPSS™ when invoking the quadratic rule. America is in crisis and appears to have lost its moral compass, and citizens have lost confidence in its major institutions and power sources. This paper examines the Book of Ruth and shows that there are many powerful lessons for our society contained in it. This qualitative research project seeks to gain an initial understanding of managerial perceptions of Big Data. Top level managers from large companies were interviewed about their understandings of Big Data and Big Data applications in their companies. Analyzing interview data, this study develops the concept of Big Data capability. Using case scenarios, we demonstrate various problems in infrastructure projects in the Indian context. Ability to manage risk stems from competency, experience, emotional intelligence, dealing with inter-personal relationships thru transactional analysis, coping with role stress, team and organizational support. We develop a conceptual model of risk attitude which is self-reinforcing. We examine the role of heavyweight manager and customer involvement on improving NPD project performance with a general research model that defines key practices that are essential in managing uncertainty and equivocality of environments. Based on 202 project team results, we report the findings and discuss practical and theoretical implications. There is a growing body of literature surrounding the provision of humanitarian aid. However, the research communities within the field have not been identified in such a way as to guide prospective researchers toward engagement. This study uses bibliometric analysis to evaluate the evolution and current state of the field. This manuscript defines a step-by-step philosophical analysis approach on how to evaluate the costs of product development and product manufacturing. By performing this process, the costs of development and product manufacturing can be estimated. This estimation allows for determination of project viability. Measuring Entrepreneurial Performance: Is There Consistency Between Scholars? The current research investigates performance measures used in 50 studies between 2002 and 2013 in the Journal of Entrepreneurship Theory and Practice. Little consistency was found across studies. In this piece of work pros and cons of using different dimensions of performance are discussed and evaluated. Methodological recommendations are provided. We show the construction of two novel distributional criteria using variance decomposition onto half spaces, and solve for optimal portfolio choice. The result is not dependent on specific preference function or specific distributions. The resulting asset pricing model embodies properties of two-fund separation as well as pricing of skewness premium. This paper explores the natural disaster (ND) response and recovery, and the underlying mechanisms. Evidence from comparative cases of factories dealing with the Thailand 2011 flood was examined, which resulted in a process framework that exhibits not only enabler ND capabilities, ND response and recovery, but also ND disruption performance. This paper deals with the estimation of population mean using median of the study variable through a new class of estimators. For this class of estimators, the bias and mean squared error are calculated up to the first order of approximation. In this study, the ratings from a user’s social circle is considered as a proxy for online social influence and as a source of implicit feedback. We incorporate such feedback into the recommendation model. The evaluation results show that our approach performs better than the pure ratings-based methods. This ongoing study focuses on analyzing the relevance of various operations management aspects in technology innovation environments, with a specific objective to assess extent of use and importance of operations management strategic decisions and activities to the process of technology innovation. We use MILP optimization to develop strategic sourcing strategy for expensive medical supplies. Resulting optimal product groupings help leverage contractual opportunities, while accommodating physician preference, diversity in supplier base, and required vendor performance. Organizational slack affects firm innovation. This study examines how various types of organizational slack have impacts on R&D investment in high-technology firms. Further, this study contends that firms are heterogeneous concerning the way of redeploying organizational slack to foster innovation and family involvement has distinctive impacts on this redeploying process. This paper intends to explore through literature review and Data Envelopment Analysis and establish inter-relationship amongst, Human Resource Deployment, Human Resource expenditure and efficiency of Public Sector Banks through Data Envelopment Analysis. Pekka Makkonen, University of Jyväskylä; Sanna Schutskoff, Enegia Group Ltd. This paper deals with social media in building experts’ professional images. The study relies on technological adoption models, and in particular, the UTAUT (Unified Theory of Acceptance and Use of Technology) 2 model. The use of LinkedIn was analyzed as the major tool for professional networking. This paper analyzes personalization and privacy on attitudes toward online advertising among respondents in different lifestyle segments. It extends the beliefs, attitudes toward to advertising, and behaviors of responses theory with the inclusions of studies of impact of personalized messages from respondents in various different lifestyle segments. Governments and Port Authorities need to identify and invest in sectors where they have a comparative advantage. The principle challenge is identification of value-add opportunities, including possible synergies and spillover effects into other sectors. This paper reviews current and potential avenues for conducting this type of assessment. We will use attendance data, box office data, venue city demographics, and weather data among other data to build two regression models to predict attendance at Major League Soccer matches. We will then compare the performance of ordinary least squares regression with random forest regression. This study uses graph theory to analyze a co-curricular program of activities in order to directly quantity student engagement, and in turn, to quantity the degree to which student engagement actually does impact retention. Traditional construction project agreements are complex in nature and when ill-managed, most fall behind schedule and exceed projected budget. Integrated Project Delivery (IPD) agreement aims to rebuild the relationship among the construction project stakeholders to prevent such project failures. This paper analyzes and examines the IPD using three small­sized construction projects. The purpose of this article is to capture the value of process mining in internal auditing and to effectively explain why process mining should be used in lieu of process mapping. We describe an active learning tool in the form of a card game, which illustrates process selection and appropriate level of inspection for a multi-stage production process. We report on initial class room experience and improvements made based on the experience which resulted in two newer versions of the game. In this paper, we tackle the problem of optimal product allocation and pricing under uncertain demand in a prioritized multi-segment market for a monopolistic retailer. A mathematical programming model is developed and then solved via dynamic programming to find the optimal allocation scheme and determine the prices correspondingly. This research examines research findings related to the skill sets, characteristics, and preferences of individual MOOC users that impact learning; the impact of learner motivation and level of engagement in the course; and how the context of a MOOC learning experience can vary in terms of time/location/modality. Using data from the European Restructuring Monitor, this paper explores the relocation of second degree (RoSD) of European manufacturing in the time span between 2002 and 2015. Within RoSDs we distinguish two typologies: back-reshoring (i.e., when the destination country is the home country) and other RoSDs. We propose a decision support framework to design a single repair shop in a single echelon repairable spare part supply system. The framework integrates heuristics or meta-heuristic techniques to solve the joint problem of skill-server assignment (cross-training), inventory and capacity level designation of the repair shop. The respondents perceive that there is approximately an equal usage of commercial-off-the-shelf and proprietary packages. The respondents perceive in manufacturing and service sectors approximately the equal usage of commercial-off-the-shelf and proprietary packages that will result in a greater reliance on outsourcers, application service providers, software houses, and consulting organizations. By introducing a frontier method based on Data Envelopment Analysis technique, to determine the portfolios through calculating their efficiencies while considering two main factors, shortage risk and associated cost simultaneously. Job seekers often need focus on one job portal among many alternatives to increase efficiency. This paper develops a framework to select the best online job portal from the perspective of job seekers with analytical hierarchy process. This paper studies the different kinds of SWM programs that are currently in use. 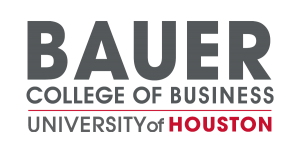 The objective of this paper is to identify the best SWM practice suitable for the University of Houston Clear Lake (UHCL). To evaluate the different SWM practices, the Analytic Hierarchy Process (AHP) is used. In this paper, we address the issues of public concerns on autonomous vehicles. Sentiment analysis on customer reactions towards Tesla’s Autopilot Cars is conducted. The findings help car makers in providing better vehicles which are safe for future buyers as well as other travelers on the road. This paper develops approximate methods for service delivery delay time in multi-class service processes based on queue theory. The numerical results are reported with simulation experiments to demonstrate the accuracy. This research can be efficiently and effectively used for managers to estimate the delay time for different customers. This paper investigates the influence of servitization on manufacturer innovation. We analyze a panel of 1698 U.S. manufacturing firms over a 17-year period. We find robust evidence that the rich customer insight obtained through services enhances manufacturer’s patent activity in subsequent years. This paper is motivated by digital ubiquity of the internet and expansion in its usage for e-commerce, e-entertainment, telemedicine, telework, and a variety of other purposes. It analyzes geographic patterns of internet usage in U.S. states and examines socio-economic, affordability, infrastructural, societal openness, and social capital dimensions of such usage. Our paper seeks to advance the knowledge on organizational learning by showing that four distinct learning orientations (team, learning, memory, and systems), previously studied only as a collective, can be parsed and employed strategically and synergistically to enhance either exploration (short-term) or exploitation (long-term) practices. We propose a risk-based stochastic VIKOR model that accounts for differences in the risk attitudes of the decision makers when ranking stochastic alternatives. Our model is designed to solve multi-criteria problems characterized by stochastic data and decision makers categorized by their risk averse or risk seeking behavior. This paper originally introduces animosity to supply chain management aiming for enlarging the understanding of animosity from the business to consumer (B2C) context to the processes of business-to-business (B2B) supplier selection. In this research we explore the structure of dyadic value chain relationships in a base of the pyramid context. We conducted content analysis to classify 74 dyadic value chain relationships according to Gereffi et al.’s (2005) model of governance types. A supply chain network design model is proposed to manage supply, distribution and selling of product. The model plans product realization through local and overseas suppliers. It decides number and location of distribution centers and number and location of sales outlets considering potential locations to optimize cost and market response. This paper focuses on the basic concepts and thinking logic of systems science and shows how powerful they can be when they are employed to address business and economics problems. Traditional corporations have engaged in tax mitigation schemes that have deprived society of their fair share of taxes. Benefit corporations strive for a higher code of ethics. The purpose of this paper is to outline certain basic tax-avoidance schemes that benefit corporations should avoid. This study surveys students in online and face-to-face classes of undergraduate project management. Evaluations on learning effectiveness are conducted after students completed the classes. Our results show that a well-designed online class could outperform a face-to-face class of project management, which is a typical subject in business school curriculum. Our study explores the effect of technological overlap on the success or failure of merger and acquisition deals taking into consideration the change management procedures applied by the company management, and bearing in mind the market penetration strategy used by the new entity in planning its entrance to the market. We evaluate the relationship between factors of technology acceptance and retention of students in online courses. We work with a survey with 231 students of a public university. The results show that there is positive and statistically significant relationship between student retention and expectation factors, hedonic motivation and information quality. Introductory-level business statistics students typically lack sufficient experience to properly assess residual plots when studying linear regression and the recommendation is to back up such exploratory analyses with confirmatory tests. A Monte Carlo simulation comparing six procedures for assessing the homoscedasticity assumption provides guidance for test selection and classroom use. The aim of this study is to examine the Deming Management Method to determine if its theories about quality management are applicable to the processes involved in managing IT projects. Analysis of survey data collected from 168 IT professionals provides strong empirical support for its application to IT projects. The objective of this paper is to analyze the effect of students’ self-selection between the online and face-to-face sections of a core business MIS course on the eLearning outcomes. We find that the DFW rates are significantly higher when students cannot self-select between face-to-face and online sections. This study finds a positive association between return on assets and renewable energy deployment for the thirty-two largest publicly held companies in the US electrical utility industry. Findings support the hypothesis that when such deployment is in its early stages, it will be positively associated with firm performance. This study examine the impact of the argument quality and the source credibility of the campaign message on the decision to participate in online petition that is spread on social media. Moreover, the interactions effects among these factors and the discrete emotion embedded in the campaign message are also found. We conceptualize and empirically examine the link between customer’s quality assurance behavior (QAB) and its drivers. We find that airline’s cost of departure quality is shared by voluntary but costly passenger QAB. Our findings emphasize that disseminating quality information to target passengers may help optimize QAB to be undertaken. This paper provides an evaluation of the Internet of Things (IOT), data analytics and the resulting influence on the healthcare industry. We summarize the current roles of IOT in healthcare, hinting at the expansive opportunities and threats of a highly connected environment. This research was to investigate transactive memory system development in computer-mediated versus face-to-face settings. A quasi-experiment with repeated measures was conducted. Results showed computer-mediated communication had the same impact on transactive memory system development as face-to-face communication and the impact of computer-mediated and face-to-face communication both dissipated over time. Drawing on social network theory, we posit that social media enhances the effect of supplier involvement on new product development (NPD) performance. To test the hypotheses, we used a longitudinal survey of 367 manufacturing firms. The results support the expectations that the use of social media increase NPD performance. We integrated a job demands-resources model and substitutes for leadership theory to examine the moderated effect of leader–member exchange on the indirect relationship between challenge stressors and job performance mediated by job engagement. Furthermore, we used stress mindset to examine the three-way moderated effect in the aforementioned relationship. Information Security Policy (ISP) plays an important role in information security management in organizations. All prior studies used cross-sectional data. This study is a longitudinal study spanning a two-year period. The aim of this study is to investigate how information security awareness influences different factors that affect ISP compliance. Woo-Yong Park, Hong Kong Polytechnic U. This study investigates the performance benefits of design internalization in outsourcing strategy. By incorporating the concept of an architectural innovation’s life cycle, this study contributes to advancing the relevant literature regarding the impact of designing outsourced components in-house on technological performance in the face of architectural innovations. In this study, a Data Envelopment Analysis (DEA) is developed to evaluate the relative efficiencies of the 34 state’s wind power productivity for the electricity generation. An output-oriented CCR and BCC models are applied. The DEA results indicate that more than two-thirds of the states operate wind power efficiently. We examine the relationship between financial expertise on the audit committee and real earnings management. The results show that financial expertise is negatively related to abnormal cash flows from operation and abnormal discretionary expense while having a positive relationship with abnormal production. Theoretical models used to form the basis of statistical tests for economic growth convergence are often modeled without regard to international flows of capital. Recent developments have led to the inclusion of foreign direct investment into these models. This paper extends those models by also including political and economic institutions. Based on the integrated view of QM and knowledge (Linderman et al., 2004), this study explores the role of managerial metacognition in QM-based knowledge creation. The results show that metacognitive ability helps more effectively externalize tacit knowledge from QM practices in the form of explicit improvement concepts. This paper is empirical investigation into the role of the CEO manager in affiliates of Multinational corporations operating in the Middle East. It proposed that the relationship between the home and host country managers could be linked to agency theory and to resource dependency theory. Implications and results are discussed. Confirmatory information processing, or information distortion, is a ubiquitous bias. This work shows that distrust reduces distortion by disrupting its known driver: the motivation to maintain cognitive consistency within belief systems. Distrust drives negative hypothesis testing, thereby leading to reduced levels of consistency and less information distortion. We conducted a study with 3 MNCs, 10 direct suppliers, and 22 lower-tier suppliers. We uncover the proactive and reactive sustainability processes that MNCs use to manage their direct and lower-tier suppliers and reveal how such processes in the management of direct suppliers differ from those used with lower-tier suppliers. This paper examines the usage of Hadoop and Microsoft Cloud in big data analytics to address growing field concerns. The paper also discusses facilitation software such as Drill or S3. Lastly, the paper examines arguments for or against these solutions and concludes that a mixed software solution is superior. This paper examines the dimensions of citizenship pressure and proposes a mediator to explain its negative outcomes. Findings reveal that role overload mediates the relationship between some of the citizenship pressure dimensions and turnover intentions and all the citizenship pressure dimensions and satisfaction with work–life balance. The impact of supply chain disruptions on companies’ performance continues to be an area of research interest. Yet, prior research on supply chain disruptions fails to adequately address the impact of man-made supply chain disruptions on companies’ reputation or performance. This study address that deficiency. The recently-started overall hospital rating by CMS makes it difficult to trace any quality problem at the hospital. We offer a conceptual framework for measuring PCQ in the U.S. healthcare system that utilizes a triadic approach to integrate various aspects of care quality having different levels of measurement. A study describes improvement process to effectively teach a business computer literacy course over half century. The ultimate goals of this constant transformation are to meet the business requirements, to encounter higher education institute limited resources, and to adopt most effective online teaching/learning approach for reaching student’s learning objectives. Our study identifies bundles of sustainable business practices currently used by organizations. We utilize configuration theory to explain the focus on bundles of sustainable business practices rather than individual ones. The results demonstrate many different ways of organizing or bundling sustainable business practices to increase effectiveness. We identify a new phenomenon called thwarting behavior, defined as systematic change in customers’ behavior when they experience congestion that imposes negative externalities on other customers, that occurs in self-service environments of retail stores. With this, we examine the impact of congestion in fitting rooms on store performance. Incubators are used in the tissue culturing laboratories to maintain a stable environment for the growth of cells, cultures and antibodies. The purpose of this study is to find the best incubator among the four Thermo Scientific CO2 Incubators, using Analytical Hierarchy Process (AHP) with five criteria. Data analytics technologies make it easier for businesses to apply data mining techniques. Visualization capability is helpful to understand the big data and evaluate model perforce. This paper analyzes the 2012 and 2014 bank direct marketing datasets to illustrate how predictive analytics tool an efficiently and effectively provide business insights. In this paper, I describe the process of using Electronic Commerce software in the namesake course. I outline three options, point out the pros and cons of each option, then make a recommendation about the best option. Accurately estimating throughput of a manufacturing line is important for planning. This paper use simulation and multivariate regression to estimate a generic equation to determine the throughput. Performance measurement in governments is difficult, especially due to the challenges in measuring output. This paper presents a novel approach to evaluating a county government with a goal of identifying the problem areas using the APC model. An application is developed, the performance is evaluated, and problem areas are identified. In order to create value in big data analytics, this paper proposed a value creation model to be followed in the field. The final goal of this value creation model is to make big data analytics to be a sustainable technology. What is Driving America’s Deployment on AMI? We developed three hypotheses about the factors playing key roles on the diffusion process of advanced metering infrastructure (AMI) in the America: states clustering, ownership of the utility companies and population concentration. The results obtained show that clusters and ownership have an impact on the diffusion, but population concentration doesn’t. Executive DBA degree programs are designed for the seasoned professional interested in pursuing a doctoral degree while working full time. In the USF DBA program, the approach is to introduces these students to research quickly through the conduct of case study research that produces a scholarly publication worthy discussion case. This study explores the antecedent factors that influence a person’s adoption of identity theft protection service. Data gathered from 600 consumers were tested using a number of classification models. Results show that past victimization related to personal information and credit cards, and also gender, are the three most important antecedents. Work-life balance (WLB) initiatives are becoming important in minimizing work-life conflict which can influence organizational outcomes. The study provides a framework that illustrates how the three areas of work-life balance (health and wellness, flexibility programs, family-friendly programs) can have different effects on performance, and how gender moderates such associations.